Suitability for laser eye surgery: Is it right for me? 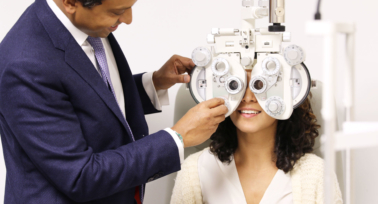 If you are wondering about your suitability for laser eye surgery, the first step is always to have a consultation with a specialist, who can assess your own unique health and circumstances. Most people with normal prescriptions can undergo laser eye surgery without a problem. But some patients may not be eligible. With that in mind, here’s a broad outline of the criteria that clinics will usually ask for when assessing patients for laser eye surgery. Every case is individual, however, and many of these factors can be managed, so it’s always worth having a consultation to discuss your own treatment. Are you over 18? Surgery isn’t advisable unless you are. That’s not just down to consent; young eyes are often still changing, so it’s wise to wait until your eyesight has settled down before committing to surgery. There is no upper age limit for laser eye surgery, however. Pre-existing conditions. Some medical conditions can affect your suitability for laser eye surgery. Eye conditions like blepharitis leave you at a greater risk of infection, while general conditions like diabetes and epilepsy may render you unsuitable for this particular treatment if they are not under control (although if the condition is well-managed you may be fine, so always seek advice). Pregnancy can affect eyesight, so women are advised to wait until after they have given birth before presenting themselves for surgery. Your prescription. Your prescription should be stable, ideally unchanged within the last two years, to ensure that the surgery will be effective. Laser eye surgery is most straightforward in a patient with a prescription in the normal range, usually between -10D and +7.25D. That’s because within this range, the corneas are thick enough to shape with the laser. Beyond this, the procedure can be a little more tricky. However, even if your high prescription affects your suitability for laser eye surgery, other options may be open to you. Bioptics is an effective treatment path that may be worth considering. 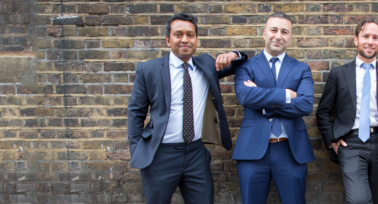 If you have one of the conditions listed, it’s important to book an appointment with your specialist to discuss your suitability for laser eye surgery and to discuss the options for alternative treatments. 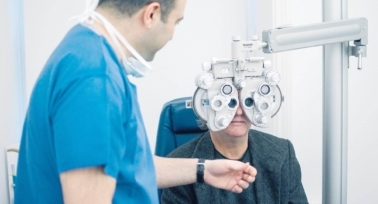 With the latest modern advances in eye surgery, it may be possible to treat patients who were previously told they were unsuitable for laser eye surgery; or there may be a new alternative that you are eligible for. There is always hope, so contact us today to book a consultation. If you suffer from blurred or cloudy vision and would like to discuss potential treatment options, make an enquiry or call on 0203 369 2020.